Ido Bar & Grille | Akron, Ohio | dreaming of the next bite. A long-standing South Akron tradition is Ido on South Main Street. Sitting in an inconspicuous little building just down the block from Bridgestone America’s brand new (nearly complete) Akron Technical Center, Ido has been serving burgers in Firestone Park since 1943. Today, this neighborhood burger joint’s menu has expanded to salads, sandwiches, steaks, prime rib, a variety of “comfort food” favorites, and seafood. 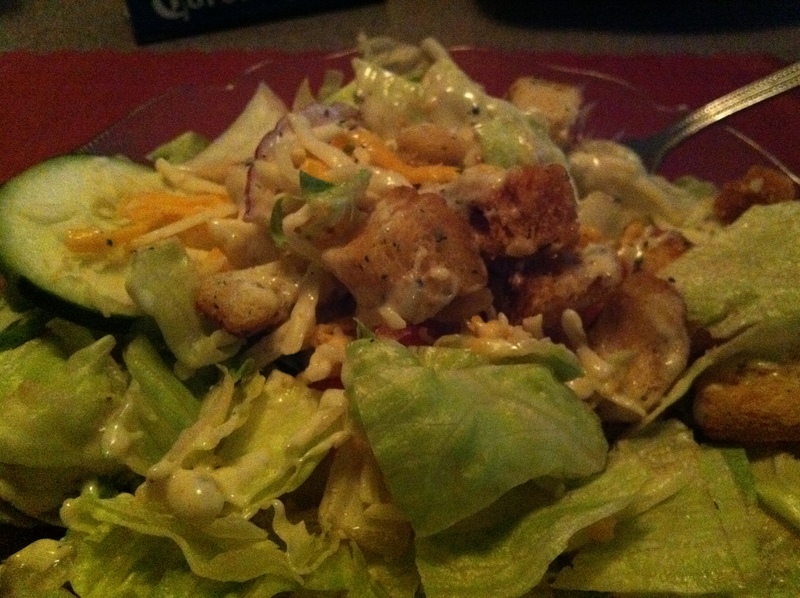 As iceberg lettuce salads go, this was a pretty enjoyable one, mostly for the homemade croutons and the house dressing (parmesan peppercorn) which were both delicious. Wednesday night is half price burger night – and that includes any burger – but since I’ve tried those (mmm, blue cheese) I went for the meatloaf on Texas toast. It came with three sides which for me translated to salad (above), mac-and-cheese, and green beans. Because I was with my good friend, who’s not only a fellow food-lover from way back, but also expecting, I had the opportunity to sample a few more things on the menu including fried pickles (yes, she’s a walking stereotype), sauerkraut balls, and for dessert, a chocolate torte. Our server just may have been right when she said everything on the menu is good. It’s not gourmet by any means, just reliable (and cheap), down-to-earth Akron grub. Good crowds, great service, and as the website boasts, “clean restrooms” (seriously, the website really does say that!). We’ll call it the John’s Bar of South Akron. 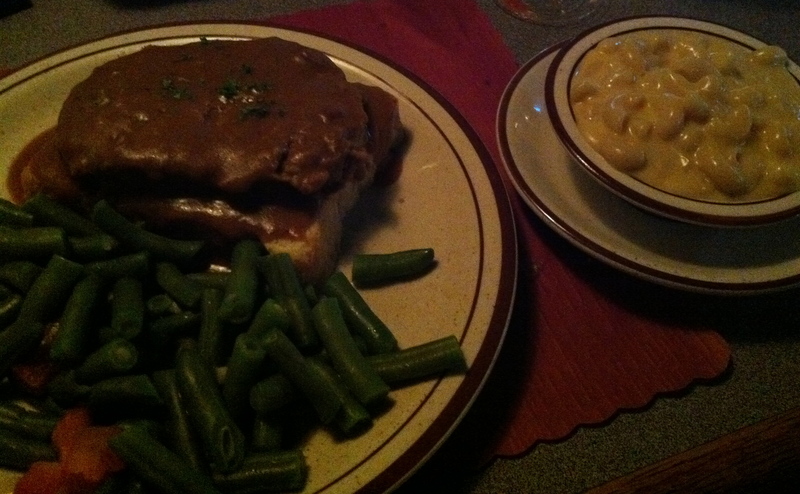 This entry was posted in Akron, OH and tagged American, bar food, burger, one-and-only by Yvette (@foodiedreamer). Bookmark the permalink.